This tote is not your run-of-the-mill paper wine bag. Contemporary designs are printed on a sturdy, board-like paper and makes gifting a bottle of wine a joy. 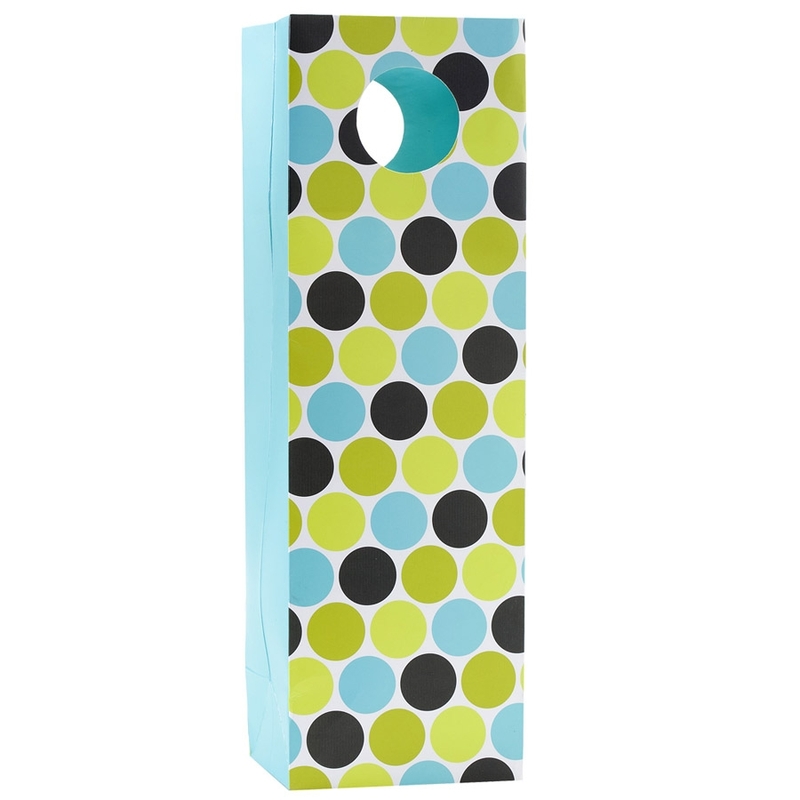 Dots in turquoise and greens with solid turquosie sides.